Android smartphone become our life companion with its amazing Features and low cost. Android smartphones act as a personal assistant to manage our day to day task. We can easily save our time and money by using android apps in different fields. There are also competitive exam preparation apps for students who are interested in Government Jobs in different sectors like Banking, Railway and Defense. With the help of these apps we can easily prepare quantitative Exams for different Post at home or anywhere. We do not need to spend money on heavy books. In the similar way we also listed GK apps for android. In the same these apps provide proper exam pattern with latest syllabus and video lectures. Competitive exam preparation apps also provide notification for examination date. We can also take expert advice to clear our doubts. List Of Best Competitive Exam Preparation Apps For Android. 5. SSC CGL Exam Preparation 2016. 7. 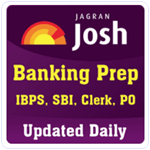 SBI PO Exam Preparation. 10. 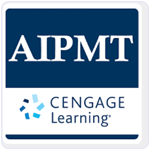 Test Prep For AIPMT. It is a high rated app in the list of exam preparation apps for android users, which the rating of 4.5 on Google play store. This App is designed for the preparation of IBPS, SSC, GATE and LIC. It provide the practice set for the above exams with explanatory Answers. It can easily clear our doubts by posting them on this App and get answers from experts and other students. Approximately 0.5 million users downloaded this app. It is a another good app in the list of android apps for exam preparation. It is specially designed for GRE Exam preparation. 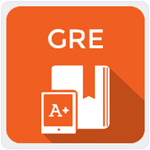 This app is designed with new GRE syllabus for studying and testing our skills on the Go. They also provide 3500 flash cards to improve our vocabulary. It provide a complete list of GRE syllabus in conscious formats. It also provide a library for GRE level questions for our preparation. Approximately 0.5 million users downloaded this app. It is another wonderful app for competitive exam. It is an android app by Jagran josh. Com. Now get ready for the various types of Bank Exam recruitment with this App. This App provide syllabus, notifications for various Exams, study material etc. It is a light weight Android app with awesome GUI. It is also great choice in all android competitive exam preparation apps. Approximately 0.5 million user downloaded this app. It is another high rated competitive exam preparation app. It has a rating of 4.0 on Google Play store. This App provide a combo pack for the preparation of all Government Jobs, Gate, CAT, RI, SSC, UPSC and much more. We can easily select our test from the given list and easily download the study material for it. It also provide the latest pattern of all the exams. Approximately 0.5 million users downloaded this app. SSC CGL Exam Preparation 2016 is a famous in all competitive exam preparation apps for android. It is specially designed for SSC Exam preparation. It provide SSC mock test series with explanatory Answers. This app provide a platform for SSC Exam preparation discussion, daily question and practice area. 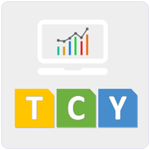 It is a light weight Android app which has a rating of 4.0 on Google Play store. It also provide SSC Exam notifications. Approximately 0.1million users downloaded this app. 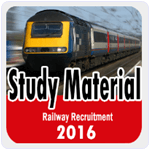 RRB Railway Exam is another wonderful app for the preparation of Railway Exams. This app contain the knowledge about world’s events, GK, History and politics. It also provide new job notifications for new Railway jobs. It has a rating of 4.0 on Google Play store. RRB Railway Exam is a light weight Android app with easy to use interface and awesome graphics. Approximately 0.1million users downloaded this app. 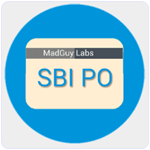 SBI PO Exam Preparation is also a popular Android app specially designed by Mad-guy labs for the preparation of SBI PO Exam. It is a light weight Android app which require android 2.3 or higher version. It provide easy to use interface with latest syllabus for preparation. SBI PO Exam Preparationalso provide previous year question paper for exams. Approximately 10 thousand users downloaded this app. 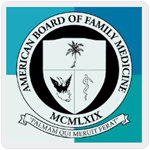 It is another popular in all android apps for exam preparation, which is specially designed for medical students for the preparation of ABFM Exam. This App contain Exam preparation videos and proper syllabus. It is totally ad free and provide attractive graphic user interface. We can easily view the upcoming Examination dates. Approximately 10 thousand users downloaded this app. 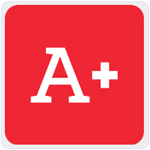 It is one the most powerful android app for exam preparation. It is specially designed for Indian Defense services Exam preparation like NDA, AFCAT, CDS etc. This App provide the test format According to current Pattern. It also provide advance analytic report to track our performance. We can also compete with others and easily check where we stand. Approximately 50 thousand users downloaded this app. It is another popular app which is available on Google play store for free. This App is designed for the preparation of AIPMT Examination. It is a light weight Android app which require Android 3.0 or higher version. This App is designed to strong our Physics, chemistry and Biology concepts. It also contain previous year question paper of AIPMT Exam. This App also contain Approximately contain 2250 questions. Approximately 5 thousand users downloaded this app. Hence, these are few best android apps for competitive exam preparation basically for Indian sto crack their govt competitive exams.